Reliance Jio Infocomm Limited has launched the 4G feature phone (JioPhone) with the price of rupees “0” in July 2017 But buyers have to pay the deposit of rupees 1500 and that will be returned after 36 months. Now the Jio will be soon announcing the availability of the Jio laptop like that India Ki Smartphone JioPhone. According to website news Reliance Jio is going to the laptop industry by launching their Jio laptop. The real price of the laptop will be around rupees 15000, but the jio laptop cost is rupees 5000 and the laptop will be delivered on cash on delivery. Jio has not yet announced the Jio laptop cost rupees 5000. 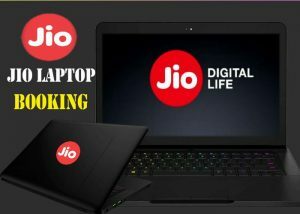 Information like Reliance Jio Laptop Specification, Booking process and Price has been given below. We advise our viewers that the news and the booking process done by the website are a scam and fake news selling such as buyjiolaptop.com and buyredmi.com, this site claims to deliver the laptop to your home and that too cash on delivery. But through this kind of websites, your card’s information can be leaked. After the Jio has announced the laptop, the laptop can be booked through Jio official website.